Dan Johnson (not his real name) of Grand Rapids, Mich., was stopped because his license plate was not illuminated. 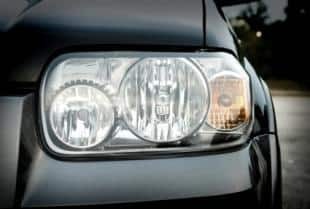 "The officer asked if I knew that the light was out that should be illuminating the plate and I said that I never really walked around my car while it was running, but that I would make it a point to get it fixed the following day." Johnson started chuckling as he looked in his rearview mirror. "When the officer leaned over and asked, 'What's so funny now?' I pointed to my rearview mirror and asked the officer if he knew he had a headlight out!" Johnson was sent on his way with a "you have a nice evening" from the officer. 0 Responses to "I'm not the only guilty party"